I wanted to share a few things I’m loving for Spring right now! Right now it’s all about ruffles, off the shoulder, cropped denim, gingham and stripes. This navy, ruffle top is seriously amazing and was just reduced to $20!! I love every thing about it. It’s nice and airy, which will be perfect for hotter days ahead. 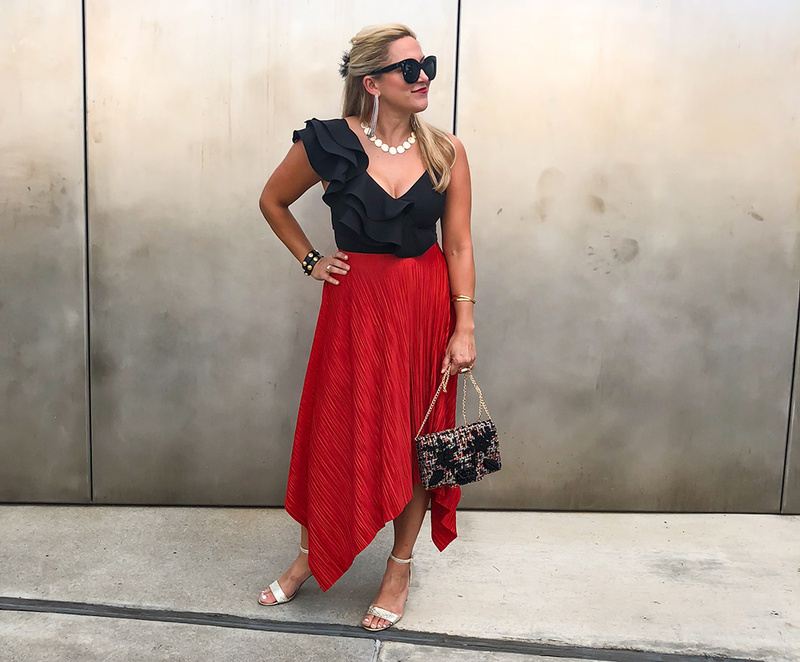 SHOP THIS ENTIRE LOOK AT THE BOTTOM OF THE POST! The off the shoulder trend is still going strong, and I’m not complaining. It’s such a fun spring/summer cut, and I’m loving all the stripes I’m seeing everywhere. This one is perfect for cooler days with the quarter-length sleeve. The material is also SUPER comfy. I wore this outfit to brunch over the weekend with the Mr. It was a perfect day for brunch on the Hooch! Don’t forget to vote on what you want to hear from Guest blogger and therapist, Kisha! Voting ends on Sunday. Who doesn’t need a lil free therapy?! Your BR striped shirt looks so much better than on girl in BR ad. They need you to style and model their clothes.